Medical marketing has been on the rise over the past two decades, a new study has found. The United States spends more on healthcare than any other nation, researchers from The Dartmouth Institute for Health Policy and Clinical Practice reported, totaling $3.3 trillion in 2016. 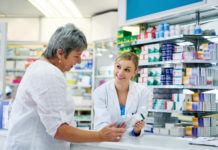 The study team evaluated how prescription drugs, disease awareness campaigns, health services, and laboratory tests and the related consequences and regulation have been marketed in the U.S. between 1997 and 2016. They assessed consumer advertising; professional marketing; actions taken by the Food and Drug Administration (FDA), Federal Trade Commission, state attorneys, and U.S. Department of Justice; and searches pertaining to expenditures, content, and consequences and regulation of consumer and professional medical marketing conducted in PubMed, Business Source Ultimate, and Lexis Nexis. “Because the goal of medical marketing is to shape our perceptions of the benefits and harms of drugs, treatments, and even of diseases, themselves, it can have a very significant impact on healthcare and can even hamper efforts to control unsustainable healthcare spending,” said study author Steven Woloshin, MD, a Dartmouth professor, in a press release. Healthcare marketing skyrocketed from 1997 to 2016, increasing from $17.7 billion to $29.9 billion. Researchers attributed the greatest source of the increase to direct-to-consumer (DTC) advertising—going from $2.1 billion (11.9%) of 1997’s total spending to $9.6 billion (32%) of total spending in 2016. Prescription drug DTC ads jumped from $1.3 billion—79,000 ads in 1997—to $6 billion—4.6 million ads (663,000 television commercials) in 2016. High-cost biologics and cancer immunotherapies ads became more prevalent as well. DTC disease awareness campaigns—run by pharmaceutical companies—jumped from 44, with $177 million in spending, in 1997 to 401, with $430 million in spending, in 2016. Health services DTC advertising more than doubled from 1997 to 2016—from $542 million to $2.9 billion. DTC laboratory testing ad spending did not increase significantly, but the number of ads did: from 14,100 in 1997 to 255,300 in 2016. 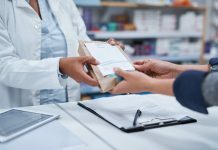 Promotional spending was primarily dedicated to pharmaceutical companies targeting health care professionals, jumping from $15.6 billion in 1997 to $20.3 billion in 2016. Consumer and professional drug promotional materials that companies pitched to the FDA more than doubled over the years, from 34,182 to 97,252; meanwhile, the FDA sent significantly fewer violation letters for misleading drug marketing: 156 in 1997 versus 11 in 2016. Despite the large increases, regulatory oversight has stayed limited. Woloshin said the findings show room for improvement.